The Office of Diversity of Inclusion and Multicultural Education (ODIME) organized a week-long event to honor Dr. Martin Luther King Jr.’s message of justice and inclusivity. 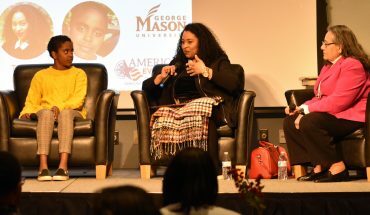 Martin Luther King Jr. 2018 Commemoration week started on Jan. 20, where they honored Dr. King’s legacy by participating in Mason’s MLK Day of Service at Women Giving Back (WGB) in Sterling, VA. WGB’s mission is to support women and children in crisis, while also building their confidence and self-esteem by providing free clothing. 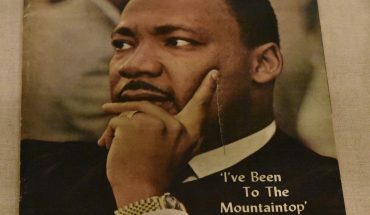 This year, ODIME wanted to do five or six events to concentrate the effort of driving home the message of Dr. King. “The theme is ‘Unify + Amplify: We Must Speak’ to get people to understand that Dr. King worked with a lot of different constituency groups to speak towards equity and purity and social justice.” She then added the ‘We Must Speak’ means that “we must speak up and resist against structures of racism, sexism, classism, and so on,” Allen said. According to an email from intercultural communication professor Mark Hopson, the keynote speaker for the Evening of Reflection on Jan. 24 was Kevin Powell. Powell is one of the most acclaimed political, cultural, literary, and hip hop voices in America today. He has written 12 books including a memoir about his life. Along with his extensive and prolific published works, he also travels nationally and internationally speaking at colleges, corporations, and various institutions. 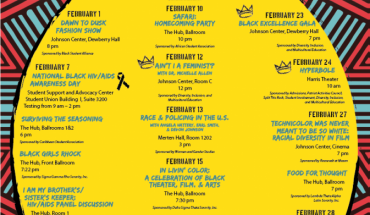 “The Evening of Reflection [event] is primarily an opportunity for us to reward the acts and legacy of Dr. King by honoring the spirit of King on this campus. We give out awards this year to student organizations, alumni, faculty, staff, and give out one award for someone who is an upperclassman and one award to someone who may be a Freshman or Sophomore,” Allen said. The Evening of Reflection also honored awards for student organizations that have done outstanding service projects. During the evening, Kevin Powell spoke with vigor about social justice, how we must speak against oppression, and support those who have been oppressed. The evening was filled with education about forms of oppression and how we must progress towards a just and equal society by uplifting and supporting one another.